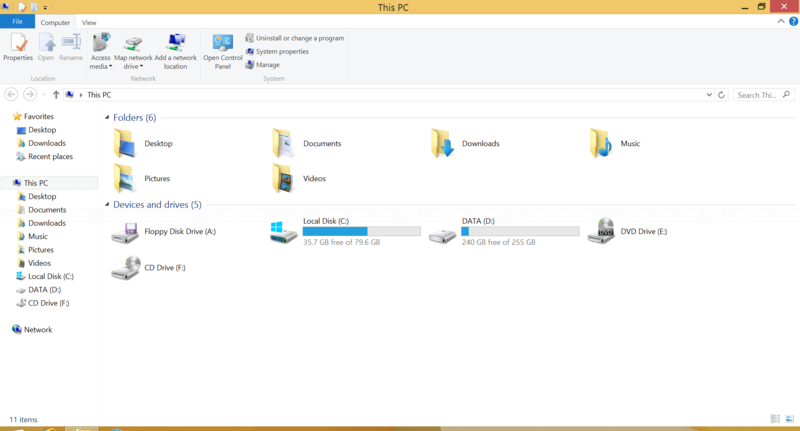 Generally, font size scaling on Windows is already well optimized on normal resolution for most people. 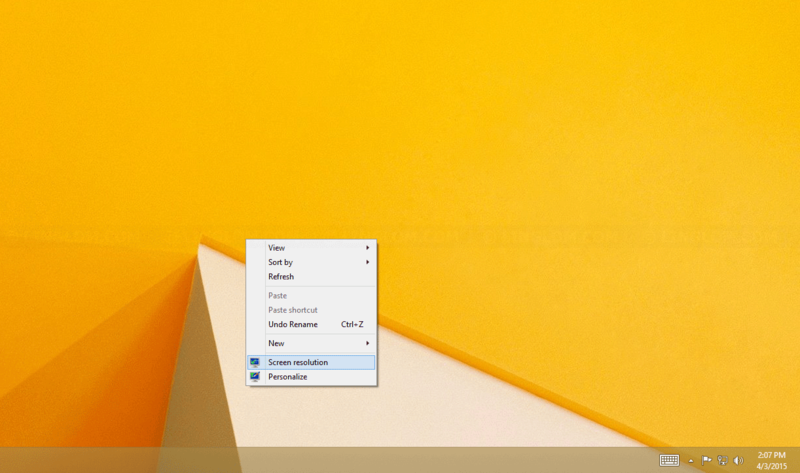 However, in some situation, for example, a short-sighted person with weak eyesight, or person that uses Windows on large LCD screen, or someone who have to sit far away from the screen than usual, they would love to have larger text on the screen. 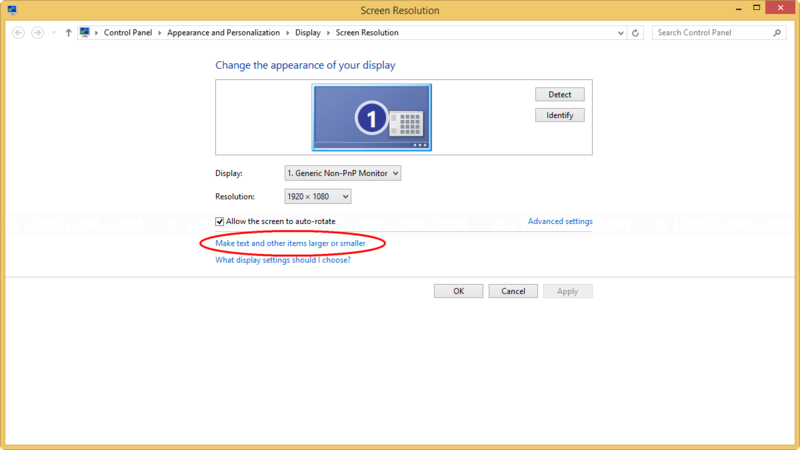 This is example of the screen with resolution 1920×1080 on default size on 24″ LCD monitor. If you think texts on this image are too small to read, you can follow the guide below to increase the size without changing resolution of your monitor or laptop. Open ‘Control Panel’ -> ‘Display’ -> ‘Screen Resolution’ and click ‘Make text and other items larger or smaller’. 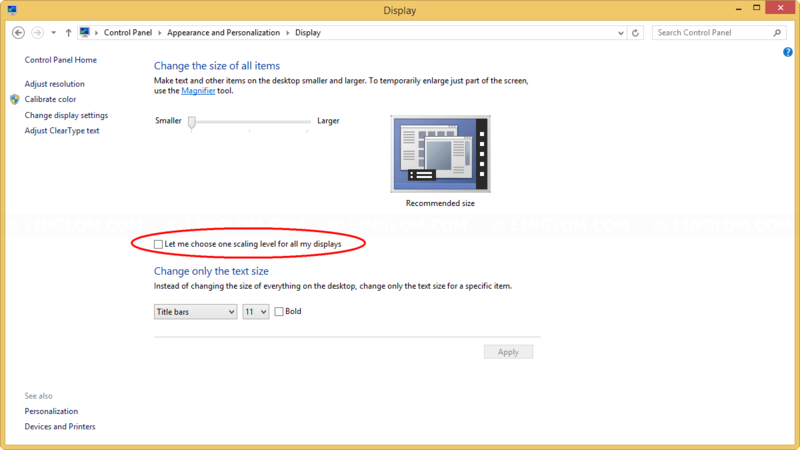 Check the check box ‘Let me choose one scaling level for all my display’ and select scaling size that you want. Sign out to apply changes. 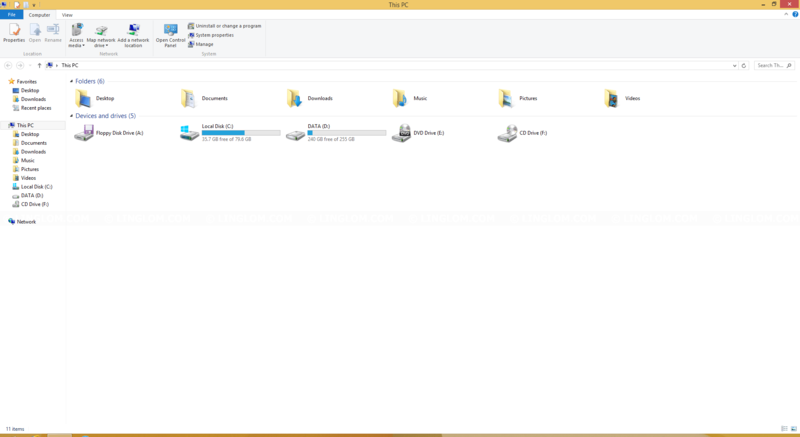 You can see detail instructions below which will show how to increase text size of all items on the Desktop at once on Windows 8 to 150% (50% larger than default). On Screen resolution, click Make text and other items larger or smaller. 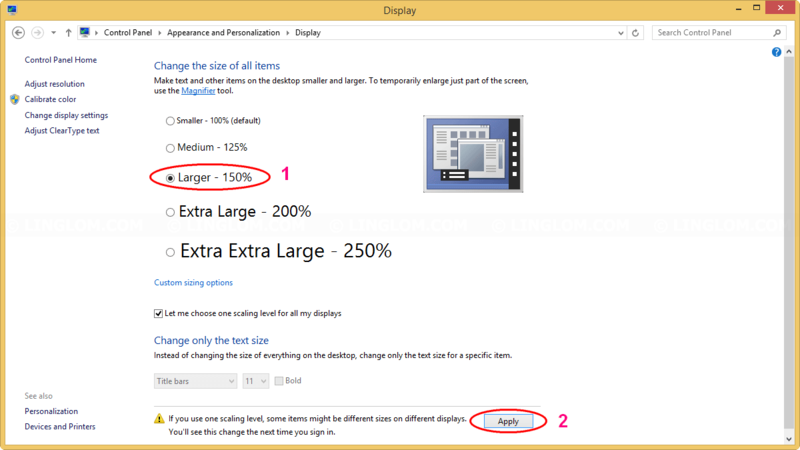 On Display, check the check box Let me choose one scaling level for all my display under Change the size of all items. Note: If you want to change text size only some items, such as Title bars, Menus, Message Boxes, Icons, etc, you can adjust under Change only the text size section. Then, you can select how large the text you want compare to the original size (100%). In this example, I select Larger – 150% and click Apply. 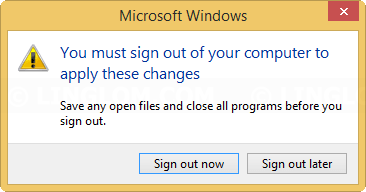 Windows asks you to sign out to apply changes now, click Sign out now to continue. But if you need to save some work first, click Sign out later, then save your work and sign out manually. After you signed out and logged in, the texts on your Desktop are now larger. You can try with other scaling sizes (125%, 150%, 200%) to see which one is best for yours.